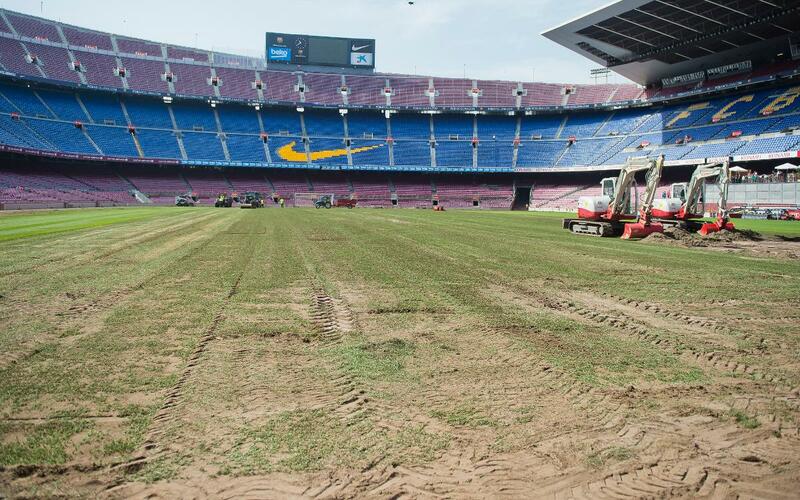 The re-turfing of the Camp Nou pitch and they will be using the hybrid system that was already in use last season. Barça will try out the new surface for their first match of the 2017/18 season at the Camp Nou. Ernesto Valverde’s team will face Chapecoense in the Joan Gamper Trophy on the 7 August. Take a closer look at the laying of the new pitch from a different perspective!